TWINKLEBEAR’S FAMILY AND MINE: Both have a history of seeing spirits. “It was so hard for Mum to leave us. She was scared and sad to leave us. My older sister Sue was there with Mum too. I felt that Mum was holding on, as we were so upset to lose her. Mum semi-smiled, as if she knew that she was getting permission to leave. Later, when Sue left the room because she was upset and experienced vertigo, I said gently, ‘It’s okay Mum.. It’s okay, you can leave, let go, don’t suffer…’ I kissed her forehead, and she smiled. While I was alone with Mum, I turned on the radio, and Tales of Hoffmann Barcarolle was playing. It was eerie, because Mum and I always listened to it together. It was much later in the afternoon, that Mum passed. I must point out, that although my twin flame soulmate “Twinklbear” Lesley Maclean is highly spiritual, and has realistically accepted the family’s ability to see and hear spirits—that her older sister Sue has not, in spite of the long accumulation of the family history, and evidence of this ability to perceive spirits. Sue has always been in a voluntary denial, with respect to this. In spite of this difference of philosophy about the family’s ability to see and hear spirits, Sue and Twinklebear both heard the long-deceased Shandy’s claws on the floor, at the same time. Therefore, this example of paranormal perception, could not be denied, even by Sue the skeptic. I must explain here, that Twinklebear is the “baby” of the family. As such, Twinklebear’s siblings were adults who had left the household, by the time their Mum entered her spiritualist period. It was only Twinklebear therefore, who got to share Mum’s spiritualist views. It was only Twinklebear who accompanied Mum when they attended a local spiritualist church. This was a big reason for Twinklebear’s and Sue’s views on seeing spirits, differing. SUE AND TWINKLEBEAR (LEFT, TWINKLE AS AN INFANT): Both heard Shandy’s claws on the floor. Most of these memoirs have been centered on Twinklebear and me being twin flame soulmates (exclusive soulmates to each other). That in itself, is a highly spiritual subject. However, the ability to see and hear spirits, is also a spiritual phenomenon, that I decided to take a tangential road on, for this memoir. I am somewhat surprised at myself for taking an interest in these esoteric matters, because in the intervening years after my youth, when my own family’s ability to see and hear spirits was taken for granted as matters of fact by me—I had become indifferent at best on this, and agnostic at worst. Although I considered myself an agnostic regarding spiritual matters, being with Twinklebear has reawakened my memories of my own family’s experiences in seeing and hearing spirits–which centered around my mother—and made me realize how truly spiritual I am after all. More on my family later. There was another astounding incident of Twinklebear’s seeing and hearing spirits. Let me set the scene for you. The time was when Twinklebear was a very young kid. This was years after her grandfather passed away. Twinklebear and her mother were visiting an old family home owned by Twinklebear’s grandpa. Since her grandpa passed away years before Twinklebear was born, Twinklebear never knew what her grandfather looked like. During the visit, Twinklebear asked her Mum…. Twinklebear’s Mum said she didn’t know (her Mum could not see any man). Her Mum then asked Twinklebear to describe the man. Twinklebear then went on to describe in detail, Twinklebear’s grandpa! This description by a very young Twinklebear, included her grandfather’s clothes that he customarily wore, and his physical features. There was no doubt in Twinklebear’s Mum’s mind, who her daughter was indeed, talking about. This was astonishing, since Twinklebear never met or saw her grandfather, who passed away before Twinklebear was born. MY MOM AND SISTER NANCY: My family saw and heard spirits too. 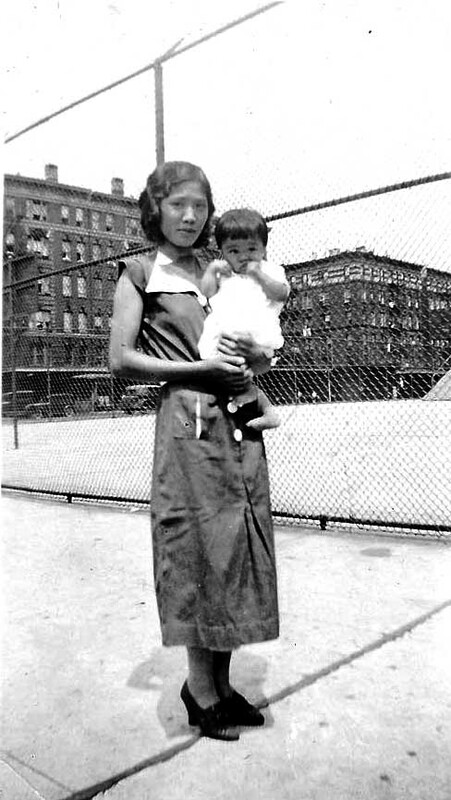 Before I was born, and my family lived in the Lower East Side of Manhattan prior to moving to Queens. My sister Nancy was still an infant, as you see in the photo. 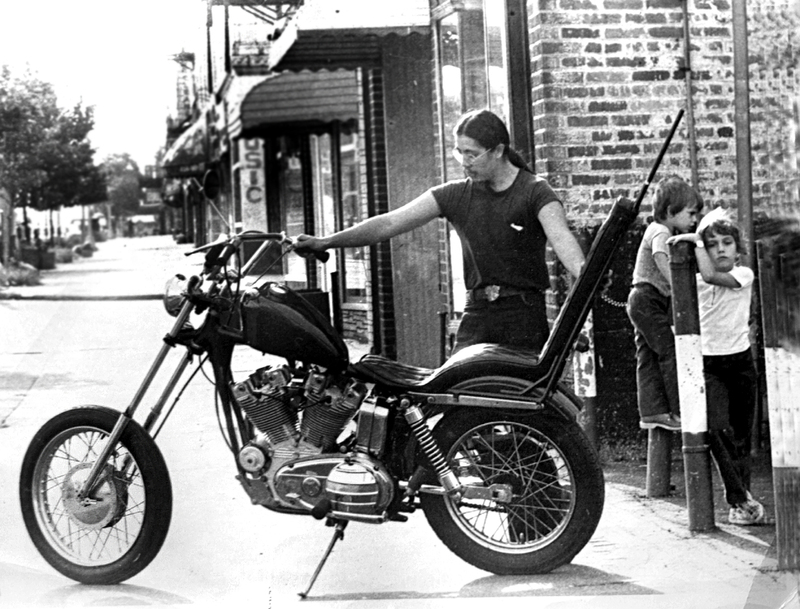 One day in their apartment on Hester Street, Nancy was in her baby carriage. 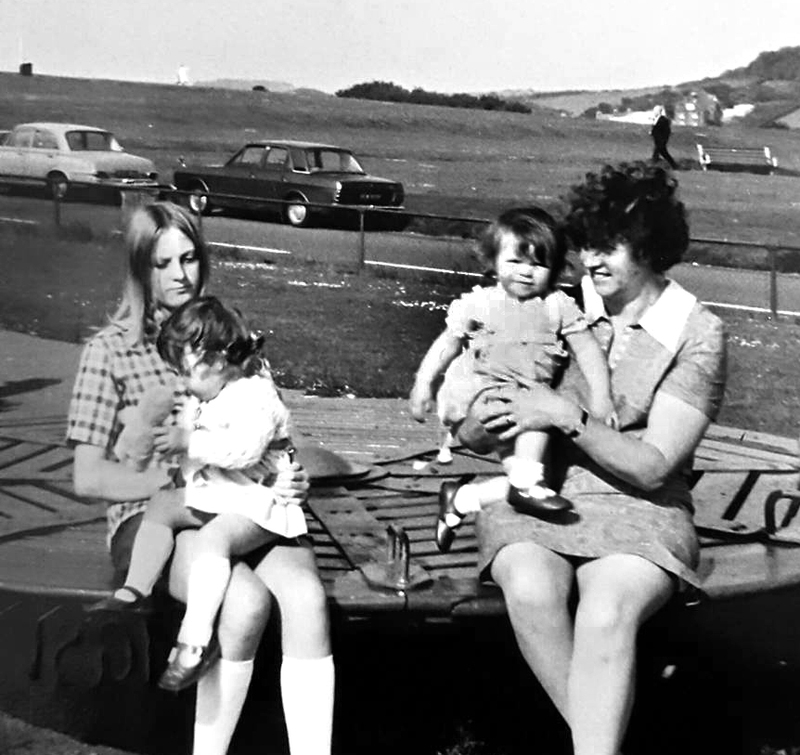 It was at that time, that both my Mom and my older sister Dottie, witnessed an unseen hand—or should I say, an unseen entity—push the baby carriage across the room. This short voyage was accompanied by a deliberate rocking motion, as an adult human would do to comfort the baby. There was certainly no earthquake activity in NYC that day. Nor was there any strong wind from a window, and the apartment floor was not lopsided, as if the floor was not level. The only explanation was, that the carriage was being moved by a spirit. 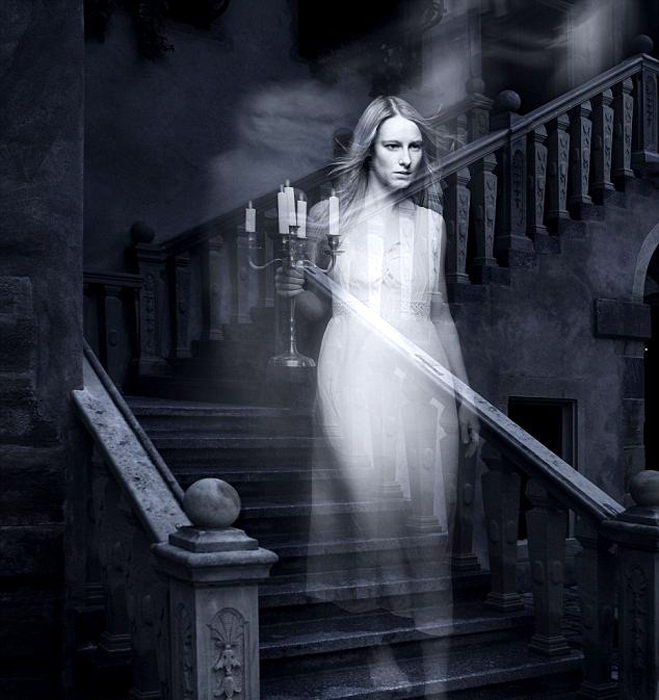 This sort of paranormal activity was not new to my mother, as it was well documented in family lore, that Mom had been able to see spirits from an early age. The earliest occurrence of my Mom seeing ghosts, happened in China when she was a young girl. Mom and her mom emigrated to the US in the early 1910s. My grandfather was already here, since he was born in California, but the details of that side of the story will be left for another article. A typical story from my Mom’s China period, was that one day she and my grandmother were walking along a country road near their village. They came across a man also walking on the road, and my mother said to her mother…. “Ma, do you see that man? My grandmother could not see this man. The “man” was a spirit, and my mother’s ability to see spirits in and around the village, was known by my grandmother and other villagers. It was not doubted, because my Mom often had these experiences. THE BUILDING I GREW UP IN: A ghost inhabited the top floor. When my family moved from the Lower East Side of NYC to Queens, they bought a three story building, that you see in the photo. This was before I was born. My parents had a business on the ground floor, and we had our home in the second floor flat, which was a long and large, three bedroom railroad flat. My parents rented out the top floor flat. Before they purchased the building, the man who live in the top floor flat of the building, committed suicide. After my parents purchased the building, they rented out the 3rd floor flat to Mr. and Mrs. Spagnuolo. Eventually, Mr. Spagnuolo passed away, and Mrs. Spagnuolo stopped staying in that flat, but could not bring herself to give the apartment up, for sentimental reasons. She then permanently moved to her son’s house in New Jersey. After that, Mrs. Spagnuolo never came back to the flat. Once a month, her son would drop off the rent money, to accede to his mother’s wish to retain the flat. But otherwise, none of the Spagnuolos spent any time in the flat. I’m setting the scene, for what I’m about to tell you. When I was growing up, I periodically heard footsteps from the flat above, the flat where the man committed suicide decades ago. This was a common occurrence. On those occasions, my father would go up to the flat, and gained entrance with his key. He never found anyone there, after we heard these footsteps. We then concluded, and took it for granted, that the footsteps were those of the spirit of the man, who killed himself in that apartment. Now, we weren’t scared, or surprised–because we knew the origins of these footsteps. They were the meandering of a tortured soul, of the man who committed suicide. So, you see, Twinklebear’s family and my family, have quite a lot in common, with our respective experiences in seeing and hearing ghosts. It is easy to see how I’ve been awakened to my own spiritual beliefs, by my soulmate relationship, with the love of my life, “Twinklebear” Lesley Maclean. This may not tie in so readily in our knowledge, that Twinklebear and I are and have been twin flame soulmates and lovers, in many past lives. But it is fascinating to examine other facets of our spiritual lives, for it all dovetails eventually–we feel. I just feel fortunate, that we have been able to find each other again, after years of separation. It is comforting to know, that we have so much in common in other areas of spirituality—such as the ability to see ghosts. Twin Flame Soulmates & Podmates, always!